PepsiCo filed a Rs 2 crore defamation suit against Facebook, YouTube and Twitter. New Delhi: PepsiCo doesn’t want you talking badly about its brand Kurkure, a corn puff snack. The soft drink giant is so concerned about its public image that it filed a defamation case on 31 May, 2018, in the Delhi High Court against Facebook, YouTube and Twitter, demanding Rs 2.10 crore in damages. Two orders from the high court, dated 1 June and 23 June, 2018, directed that all URLs/weblinks that directly or indirectly implied that Kurkure contained plastic have to be removed immediately. In its petition, PepsiCo has given a list of 3,412 Facebook links, 20,244 Facebook posts, 242 YouTube videos, 6 Instagram links, and 562 tweets that it claimed were “disparaging and defamatory” in nature. These can no longer be found on the social media platforms. “Rumours” that PepsiCo products, Kurkure in particular, contain plastic in their ingredients have been doing the rounds for many years. Despite that, revenue earned from annual sales only seem to go up. As per PepsiCo’s stated earnings in the petition they filed, Kurkure India earned Rs 601 crore in 2010, Rs 885 crore in 2013, and Rs 1159.3 crore until September of 2015, with sales increasing in the intermediary years as well. However, the petition states that during the period 2010 to September 2015, PepsiCo spent “approximately Rs 320 crore in market research and as advertisement expenditure on their products under the Kurkure marks”. It mentions a number of celebrities such as “Parineeti Chopra, Juhi Chawla, Farida Jalal, and Kunal Kapoor, who “endorse the plaintiff’s products as brand ambassadors under the Kurkure”. The petition states that the company is concerned about the good reputation of its brand being maligned by what it calls the “false and disparaging propaganda against Kurkure”. PepsiCo claims its petition is a concerted effort to fight fake news. “The myth that Kurkure contains plastic has been proven untrue over a period of time. Kurkure, like any other snack made from rice and papad will burn. We are concerned with fake news continuing to spread,” said Sandipan Ghatak, a corporate communications associate at PepsiCo India. Since the rumours began in 2013, PepsiCo says in the petition that the company has taken proactive steps to dispel misinformation, such as hosting public tours of their factories to show just how the product is made, as well as widely publicising disclaimers and public notices disclosing all ingredients that go into making Kurkure. However, videos of people burning the snack to prove it contained plastic, as well as other defamatory content, continued to circulate on these sites. This isn’t the first time that PepsiCo has attempted to mitigate “bad press”. In February this year, the company obtained another interim order from the Delhi High Court, directing the same social media giants to block all URLs slandering their product. This time, however, the crispy snack was ‘Lays’ chips. “The grievance of the plaintiff (PepsiCo) is that on 5 February and 8 February, it came across as a video posted at a Facebook and YouTube website wherein, the makers of the video an anonymous person has claimed that the potato chips under the brand ‘Lay’s’ is harmful for the consumption as it contains the plastic,” the February order read. 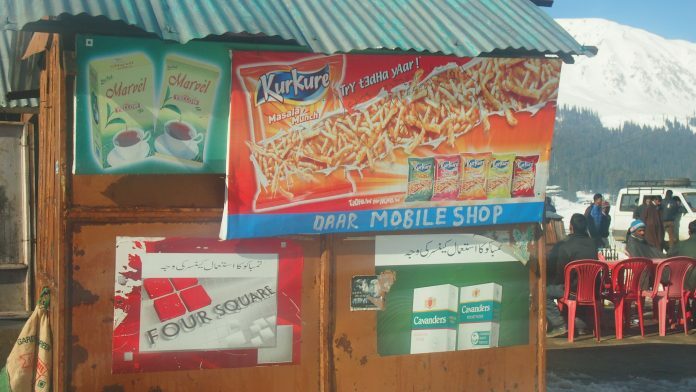 The order passed in favour of PepsiCo has also removed all jokes, harmless banter and sarcastic comments on Kurkure. Did you know: Plastic is made of Kurkure. So Pepsi took down a bunch of tweets about Kurkure being plastic? Twitter’s policy states that while it does entirely remove certain tweets from the platform, “such as illegal tweets and spam”, the microblogging site “makes efforts to keep these exceptions narrow so they may serve to prove a broader and more important rule — we strive not to remove tweets on the basis of their content”. PepsiCo also asked for any content which “contain or purports to contain similar disparaging video” or content to also be removed. The first interim order passed by the Delhi High Court earlier this month had ordered for such “similar” videos to be removed as well. However, according to a report by MediaNama, which broke the story, one of the respondent’s lawyers cited the Supreme Court’s Shreya Singhal judgment, arguing that intermediaries like social media platforms are not fully liable when it comes to regulating offensive content. Further, the lawyer added that it was “humanly impossible” to weed out such videos and block them. Thus, the second order made it clear that the petitioner was responsible for notifying the defendants when such material emerged on the internet.